On Wednesday, Coca-Cola said it and Mexico City-based franchise bottler Coca-Cola FEMSA are acquiring AdeS — a major soy-based beverage brand — from Unilever for $575 million. AdeS is the leading seller of soy-based beverages, including milk and fruit juice, in Latin America, with a presence in countries including Brazil, Mexico, and Argentina. In 2015, the brand generated net revenues of $284 million, Coca-Cola said. "AdeS complements and reinforces our non-carbonated beverage portfolio offer, providing our consumers with a wider range of choices," John Santa Maria, CEO of Coca-Cola FEMSA, said in a statement. The acquisition comes at a time when Coca-Cola is eager to expand outside of the sugary sodas it is best known for. 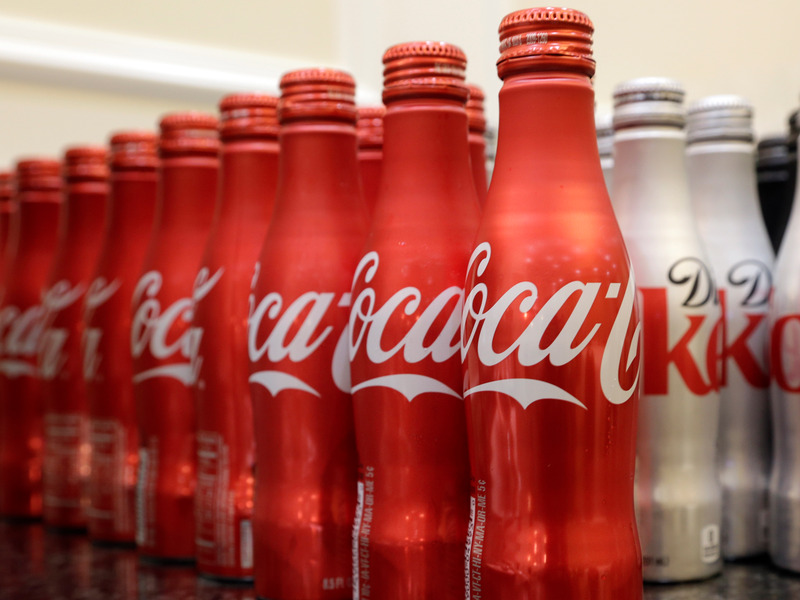 "Over the last 15 years, we've gone from stills being a single-digit part of our portfolio to now over 25% of our portfolio," Coca-Cola COO James Quincey said in an earnings call in April. "We expect to continue to grow faster in stills ... and we'll continue to look for acquisitions to accelerate our growth." In January, Coca-Cola purchased a 40% stake in Nigeria's largest juice maker, TGI Group's Chi Ltd, with plans to buy the rest within the next three years. In April 2015, the company agreed to purchase the beverage business of China Culiangwang Beverages Holdings, which specializes in "multigrain beverages," for $400.5 million. Coca-Cola is diversifying its products as soda sales slump globally. In the first quarter of the US, the company's "sparkling" sales, including Coke and other sodas, remained flat, while sales of "still" beverages, such as water, sports drinks, and juice, increased 7%. Ultimately, the soda giant needs to diversify to survive. With the acquisition of AdeS, it's clear that that this diversification is not limited to the US — Coca-Cola needs non-soda options around the world if it wants to succeed.